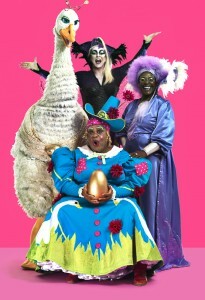 Clive Rowe in Hackney Empire’s Mother Goose. Photos by Perou. Hackney Empire’s Mother Goose is set to reunite some of the venue’s best-loved performers this Christmas. 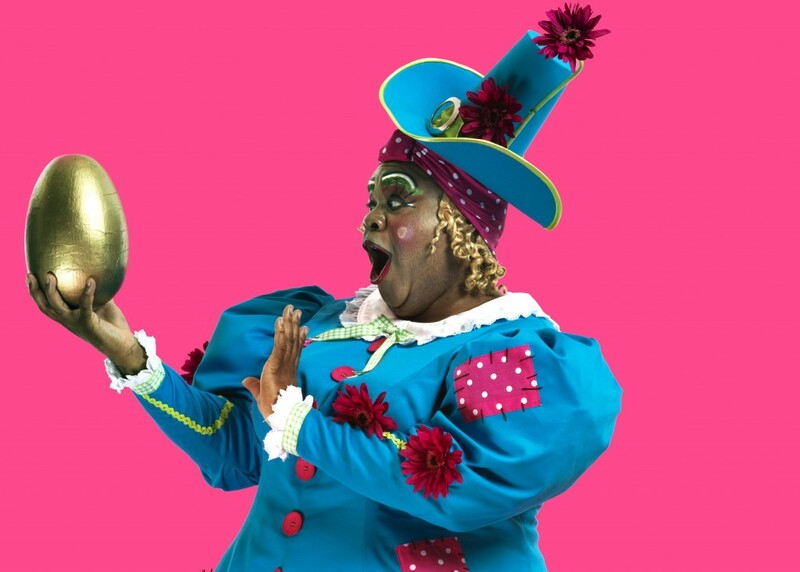 The much-anticipated 2014 pantomime, the return of Mother Goose, stars Clive Rowe. For the first time in six years director Susie McKenna will take to the stage as evil sorceress Vanity, alongside last year’s Puss in Boots Kat B, who will play Billy Goose. They join previously announced grande dame of pantomime, Clive Rowe, reprising his Olivier Award-nominated title role and marking his 10th appearance in the show, and Olivier Award-winning Sharon D Clarke, playing the good enchantress Charity. The full cast includes Matt Dempsey (Prince Jack), Tony Timberlake (Baron Barmey) Darren Hart (Frightening Freda), Abigail Rosser (Princess Jill) and Alix Ross (Priscilla). Set in the merry kingdom of Hackneytopia E8, Hackney Empire’s production features a battle between two Enchantress Sisters, Charity (good, of course) and her evil sibling Vanity, for the soul of our heroine, Mother Goose. Will she be saved by Princess Priscilla, a goose who lays golden eggs? The production will feature dazzling dance routines, colourful costumes and show-stopping songs, performed alongside a stunning live band. The production will run at Hackney Empire from 22 November to 4 January.